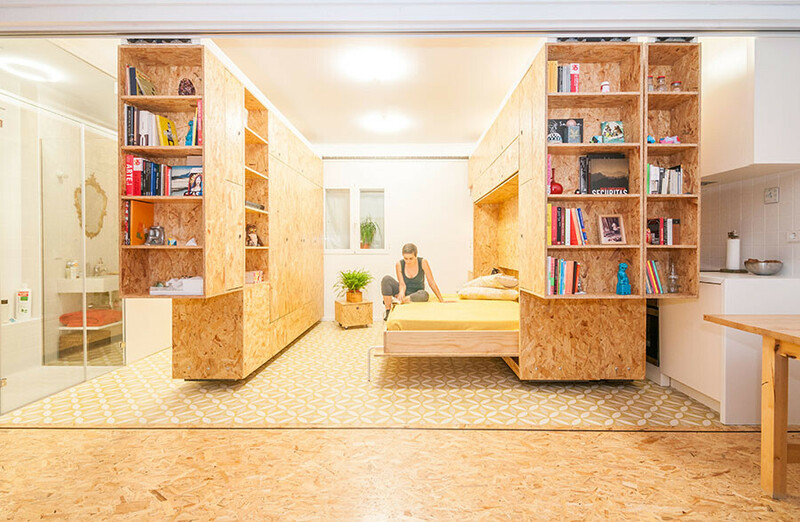 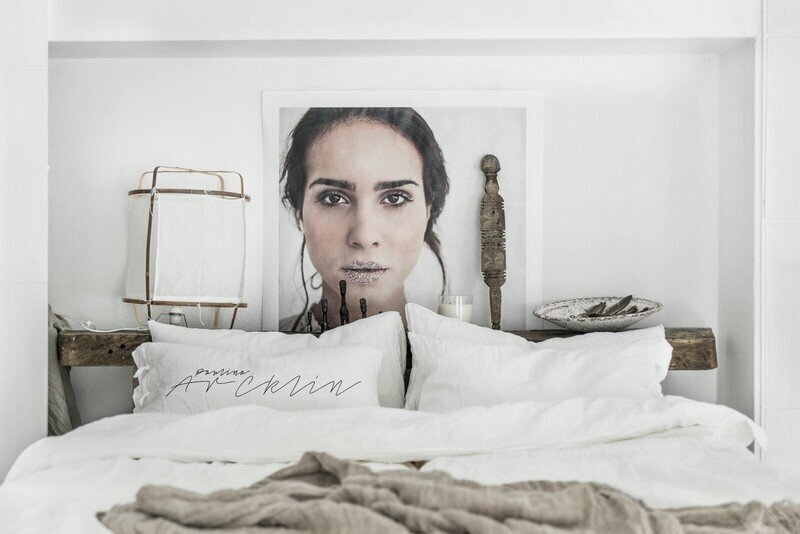 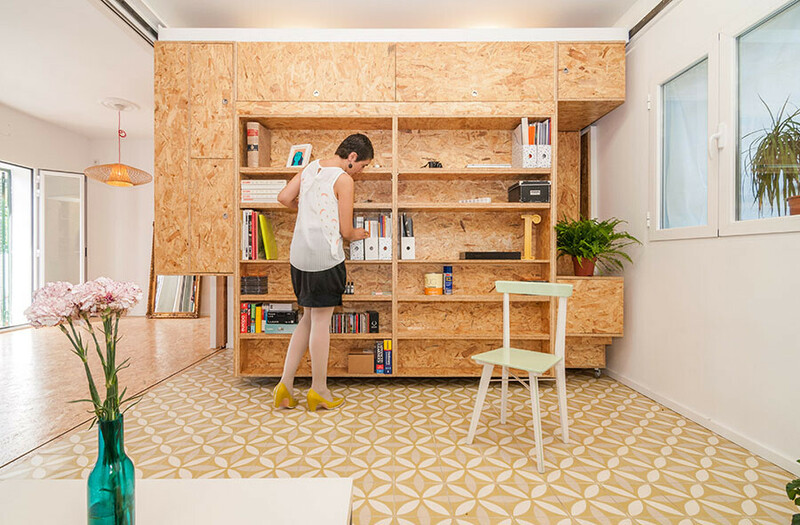 In 2013, Yolanda the designer from Errepila, moves into her grandparents’ house, situated in a small village in Madrid, away from the bustle of the city. 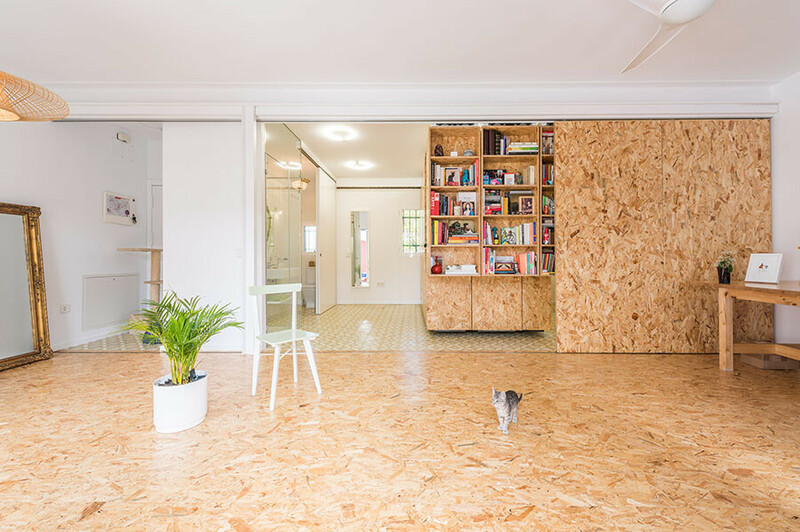 Built in 1942, with 50 square meters a floor and a large courtyard, the house needed a comprehensive renovation in order to be inhabited. 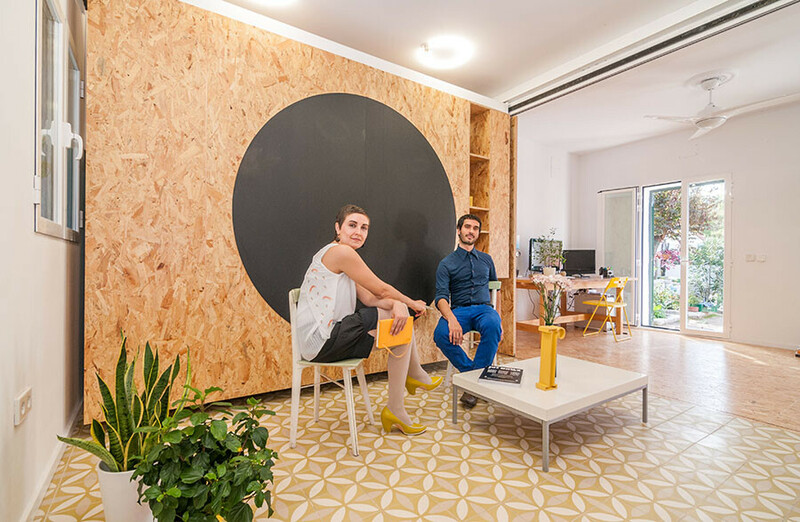 Also, Yolanda wanted to establish her own design studio here. 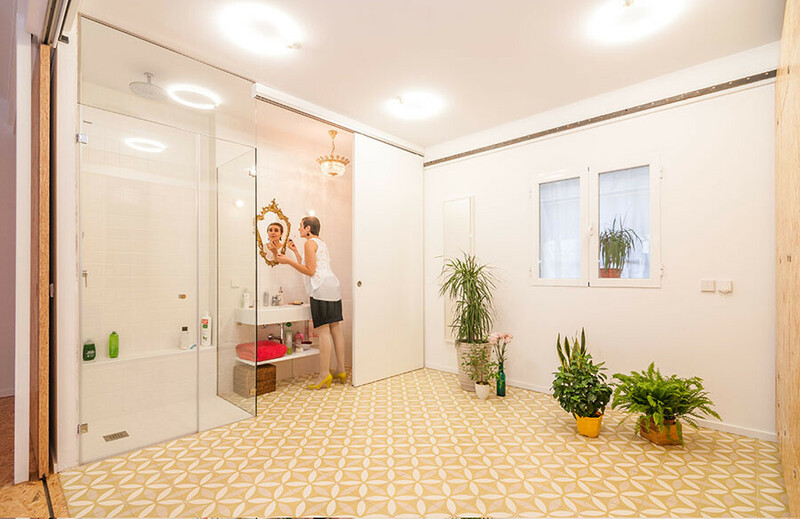 For this project, PKMN Architectures was contacted and accepted the challenge and in one year, the house opened its doors. 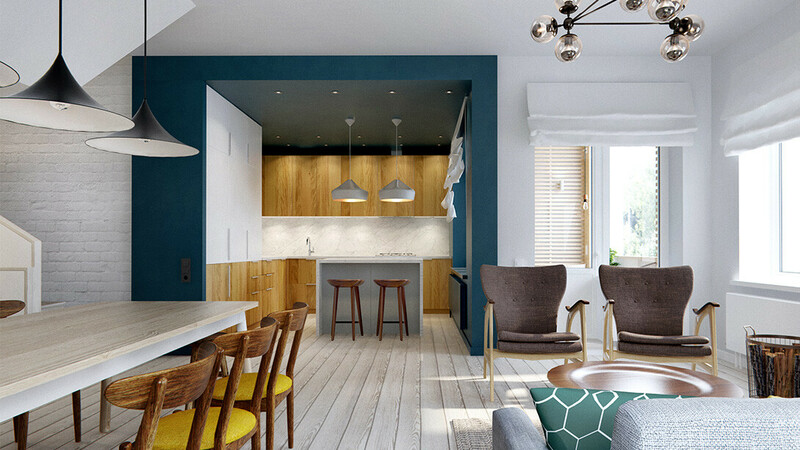 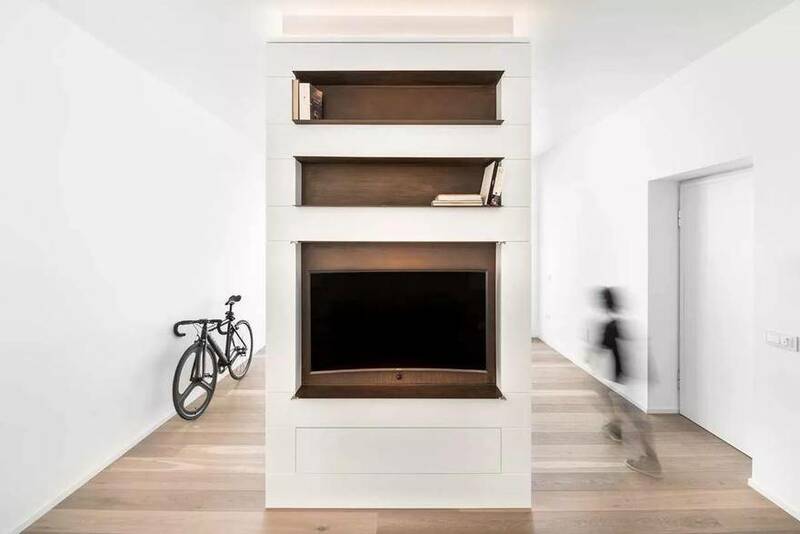 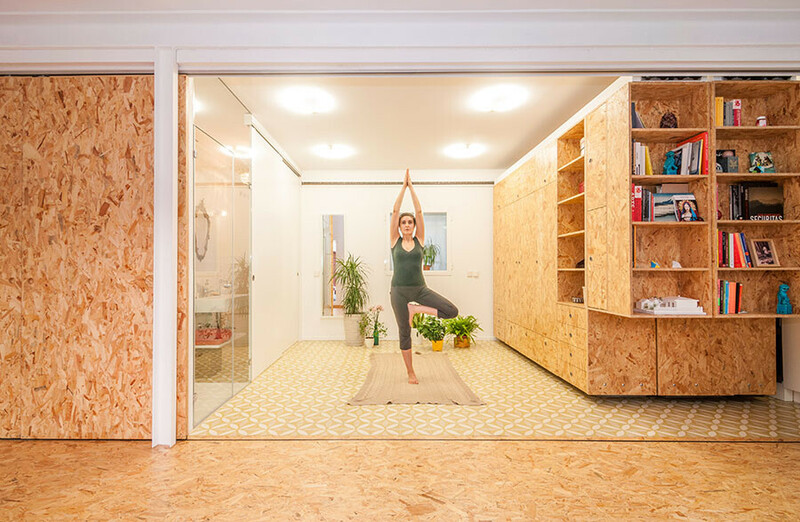 The way in which the interior of the house was designed, bears in mind the household activities that have to be combined with work within the design studio. 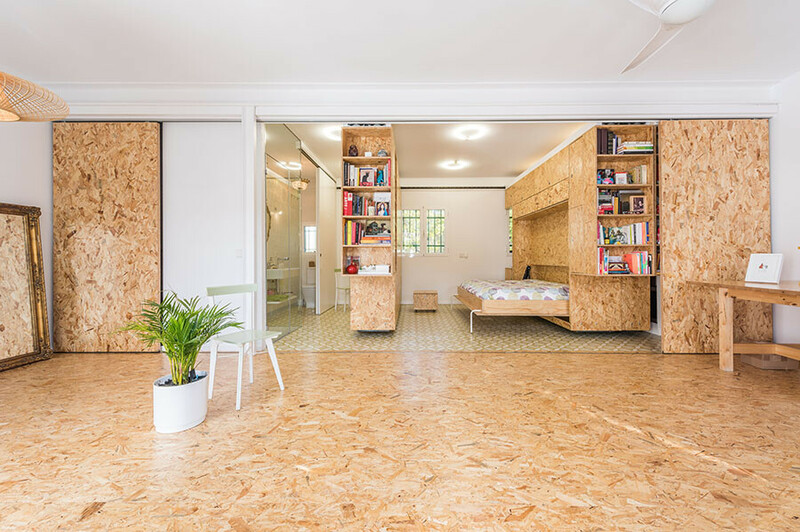 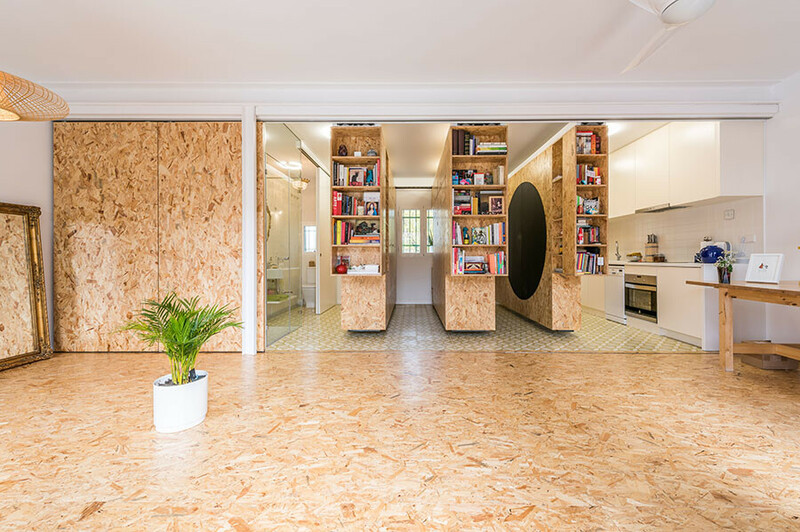 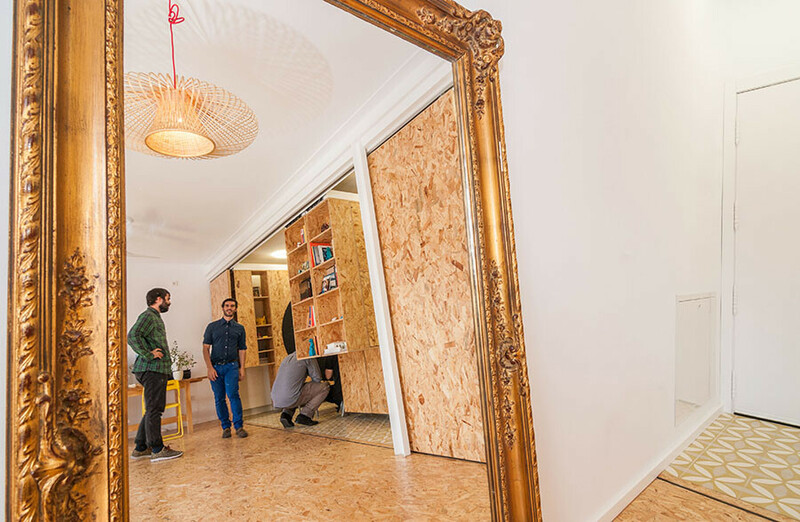 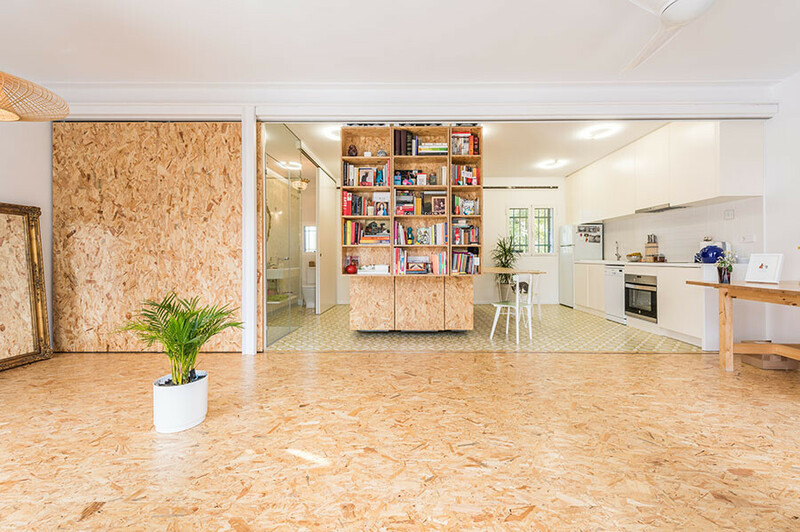 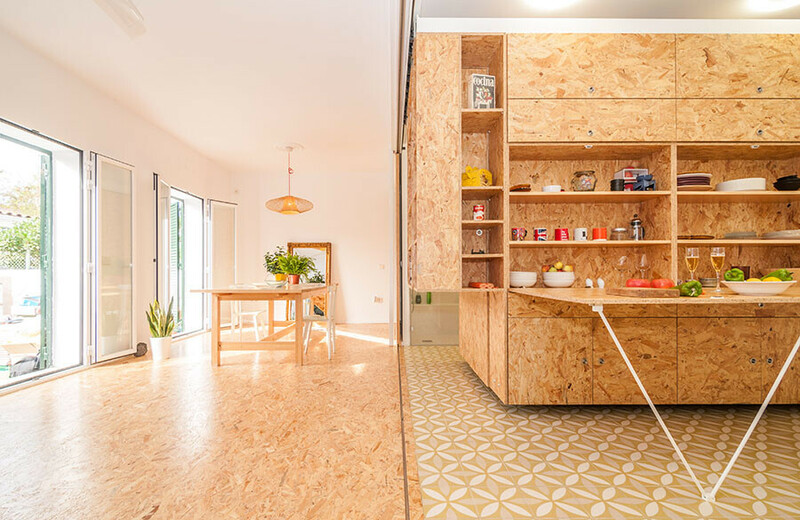 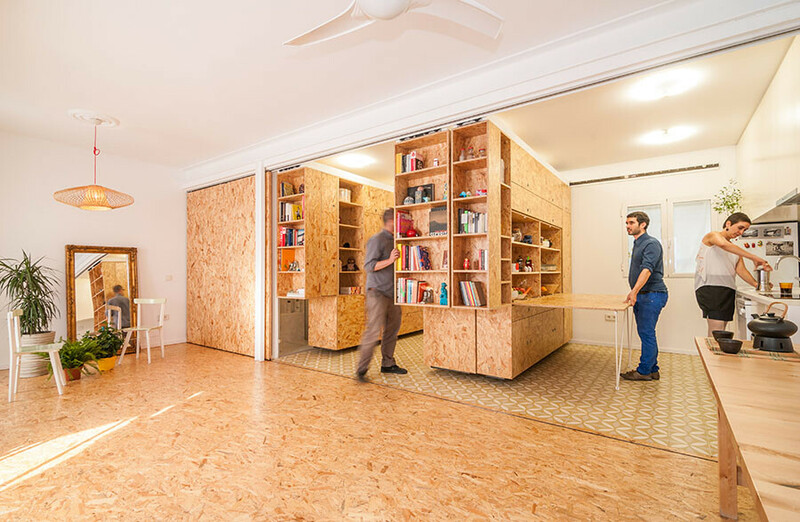 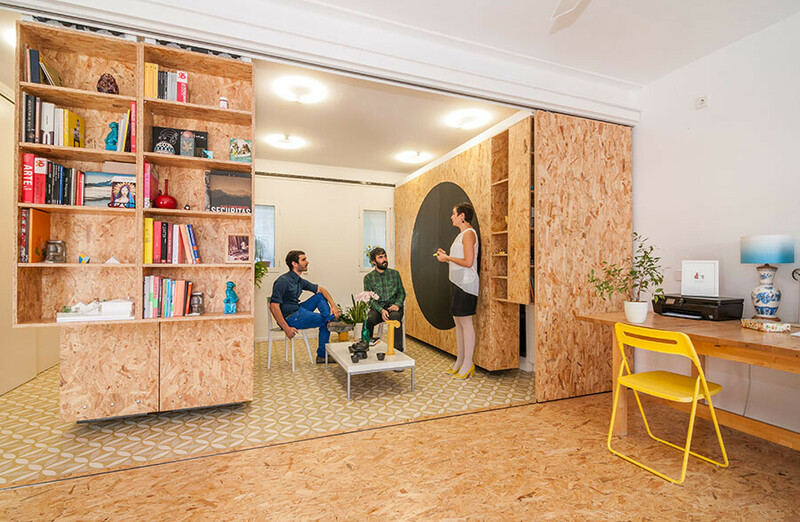 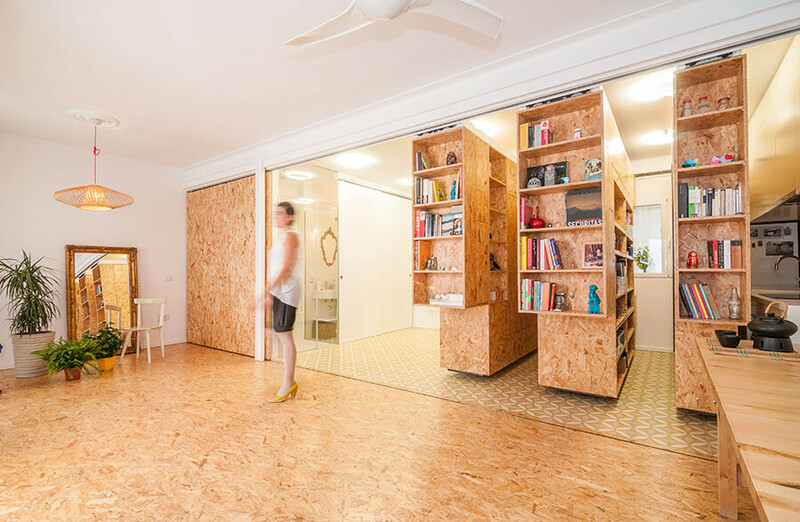 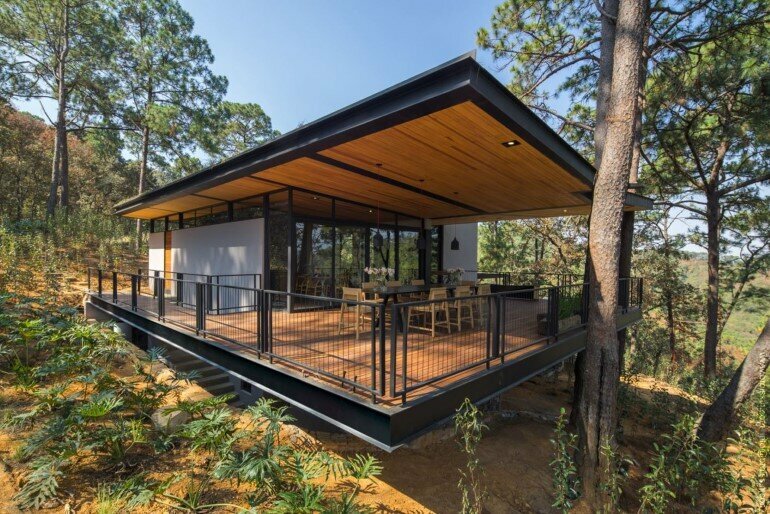 Using a combination of a simple industrial railing system with joinery, the space where both the household activities and the office take place was arranged by using three hanging, mobile and convertible wooden containers. 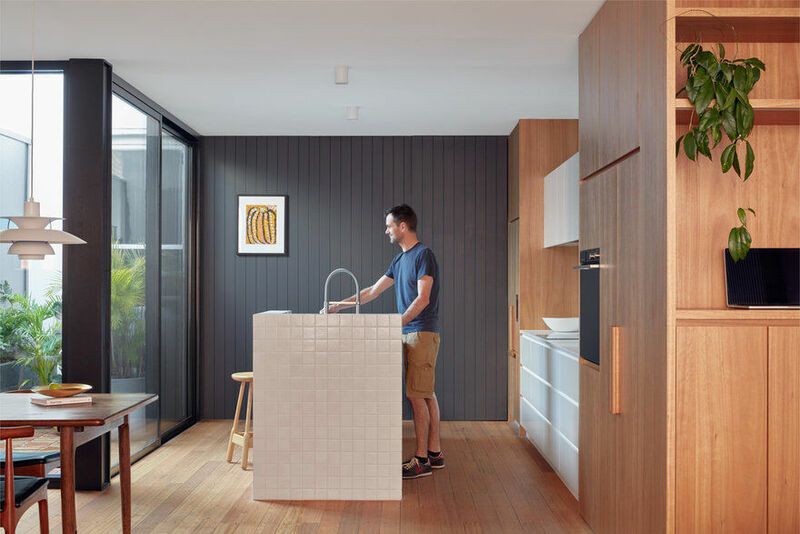 Depending on the owner’s needs, the mobile compartments can be arranged in a few seconds, whether it is wanted the access to the shower, kitchen, library or wardrobe. 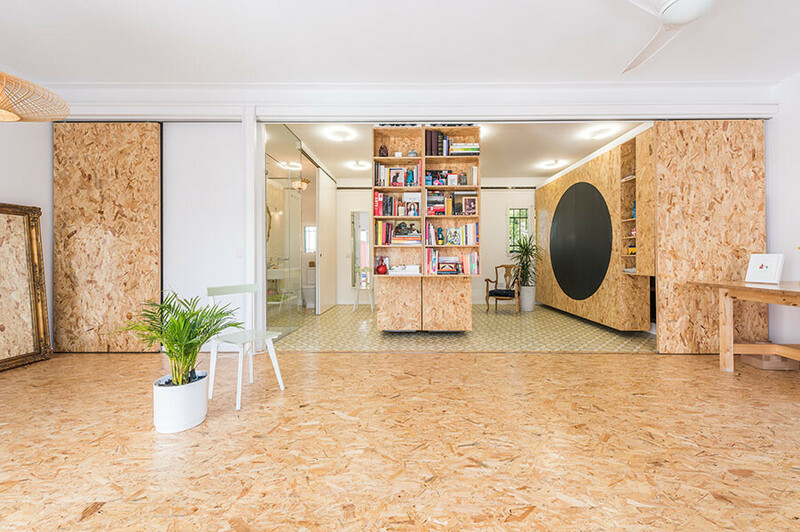 In case the designer has scheduled a meeting with a client, all modules can be gathered resulting in a large space for the office. 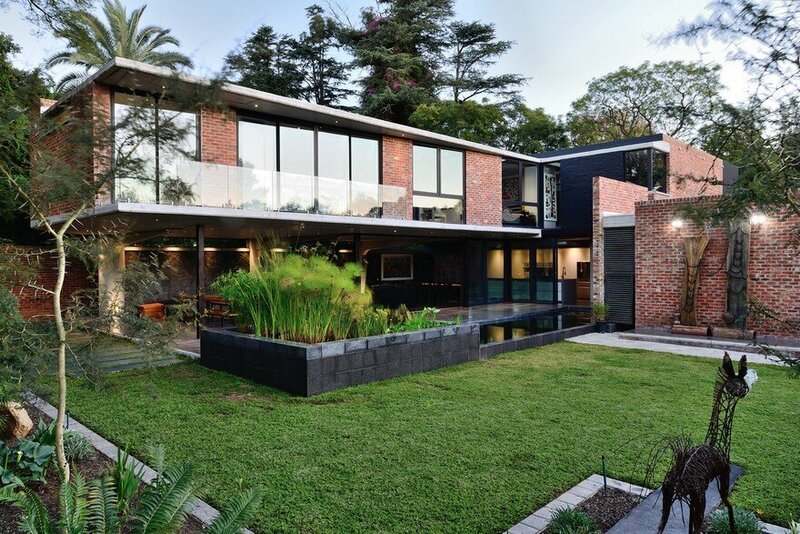 Thus, Yolanda’s house, suggestively named All I Own House, is divided by family, friends and clients. 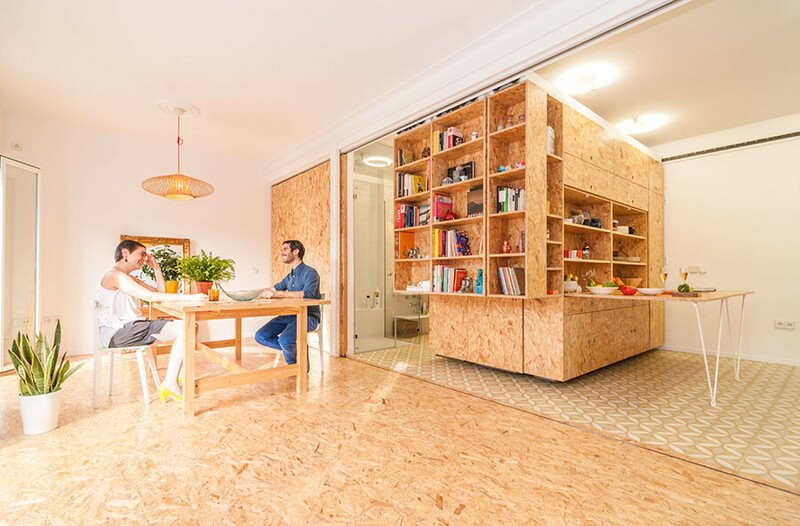 The warm and welcoming interior, “dressed” in wood, is prepared to offer a variety of combinations suited to the owner’s needs.